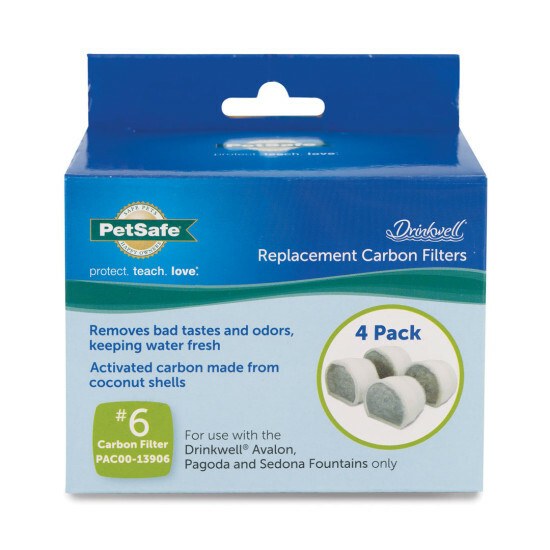 The Drinkwell® Replacement Carbon Filters are compatible with the Drinkwell® Avalon, Pagoda, Sedona, Seascape, and 2 Gallon Pet Fountains. These filters keep your pet's water tasting clean and fresh. The activated carbon made from coconut shells, removes bad tastes and odors from the water, making it more appealing to drink. 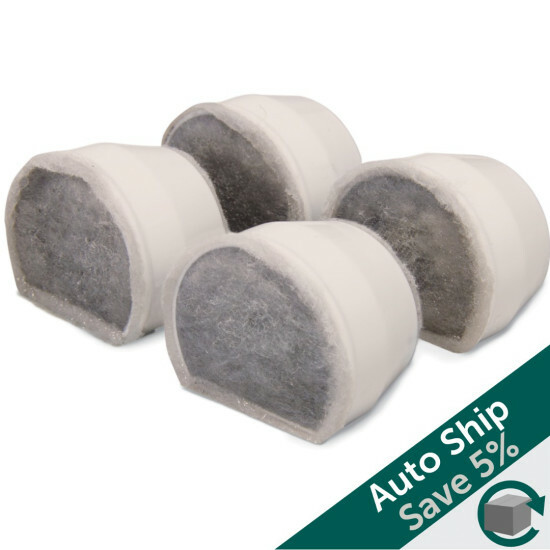 Replace the carbon filter every 2 to 4 weeks to maintain freshness. Save with a subscription! Get fountain filters automatically and conveniently delivered right to your door when you need them. 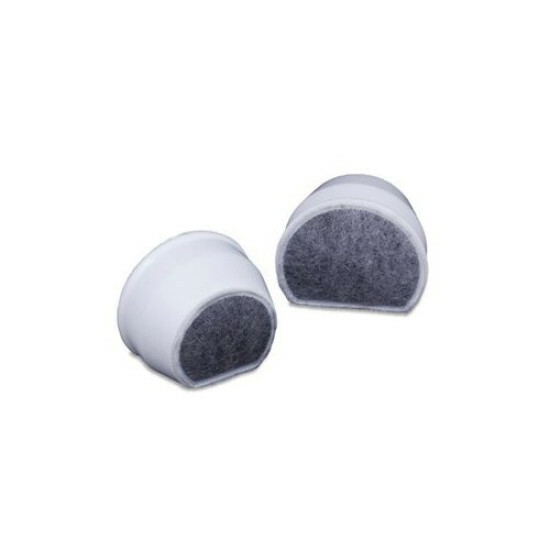 You'll receive free shipping with FedEx® Ground and a 5% discount off the price of the filters. Choose when you need your first order and how often you want to receive your next shipments. We recommend choosing a 4-month frequency for these filters.